The surprise was nearly spoiled for Michael Lewandowski. 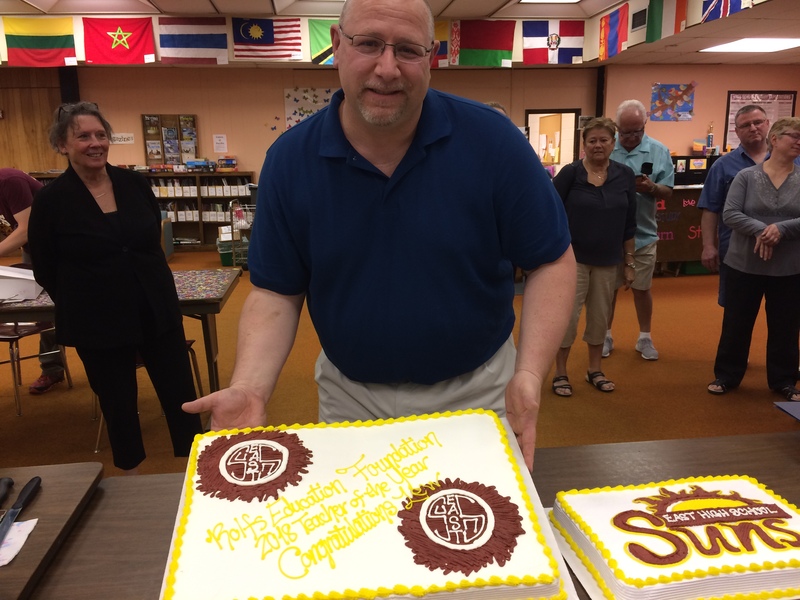 Lewandowski, a social studies teacher at West Bend East High School, was named Teacher of the Year by the Rolfs Educational Foundation after school Monday in the East library. His family, having been notified in advance, was invited to join the event and support him as he accepted the award. However, one member of his family nearly ruined this surprise for him. Lewandowski is grateful to be recognized as Teacher of the Year. Many feel that Lewandowski has rightfully earned the award. East sophomore Emily Larson, one of Lewandowski’s global studies students, also believes that he deserves the special recognition. Lewandowski’s distinction as Teacher of the Year did not come as a shock to East social studies teacher Michael Kieser. All joking aside, Kieser believes that his colleague is a deserving winner of the Rolfs award. Every spring, the Rolfs Educational Foundation recognizes four district staff members. One teacher is selected from each of the three levels of education: elementary, middle and high school. A support staff member, such as a social worker or school guidance counselor, is also considered for the award. Teachers and support staff can be nominated by any community member outside of their immediate family, but it is the Rolfs Foundation committee that makes the final decisions when choosing the district’s outstanding educators. Recent recipients from the high schools include Mark Drake, Donna Goetz, Jessica Flitter and Karen Wysocky. Lewandowski emphasized his appreciation for many of his colleagues at the high schools. 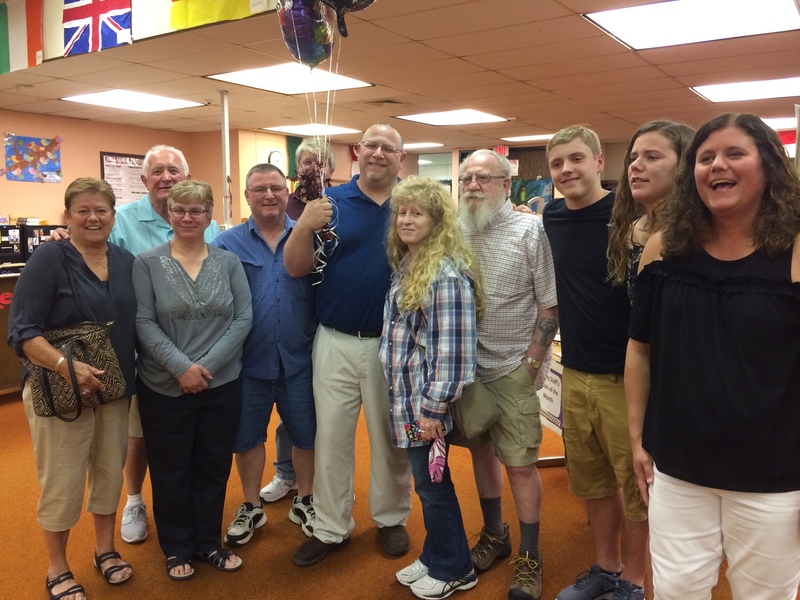 After being named the 2018 Teacher of the Year, Michael Lewandowski was joined by his family Monday in the East library. Photo by Samantha Dietel, Current Staff.